Brigantine police have made three arrests since increasing patrols and surveillance in areas where burglaries have been reported. A teenager was arrested Aug. 23, after a man called saying his vehicle was being burglarized, police said. The victim told police he started chasing the suspect on foot. Lt. Hewitt and Officer Devine found the man with items taken in the burglary, police said. Daniel Pino, 18, was charged with burglary and theft and released on a summons. The Brigantine Seaside Market was burglarized Monday, police said. Officer Sweet took the report, and video surveillance was obtained showing the suspect coming into the business after closing three nights in a row, taking money from the register and merchandise, police said. Ivan Diaz, 28, was positively identified. 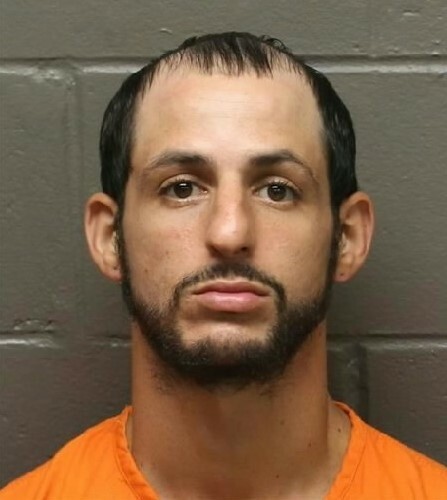 The Brigantine resident was charged with burglary and theft. He is in the Atlantic County Justice Facility on a warrant. Early Tuesday morning, Officer Lyons was patrolling the area of 40th Street regarding reported motor vehicle burglaries in the area. He saw a man on a bicycle who looked like the suspect previously captured on video surveillance, according to the report. When the officer tried to stop him, the suspect got off his bike and ran. Lyons was able to catch the man without incident, police said. Richard Brown, 20, of Brigantine was charged with multiple motor vehicle burglaries ranging dating to Aug. 28. He was released on a summons.